Last Saturday, Terry and Bev came up for the day. Diane and Bev spent the day at the church bazaar while Terry and I did some work out by the deer stands. Later in the afternoon Terry and I fished the river for about three hours. We fished five different locations at various depths and caught fish every place we stopped. We must have caught thirty or more; walleye, sauger, perch and a northern; a little bit of everything, but nothing big enough to keep. Sunday, I fished for a little over an hour before dark, thinking that a couple fish for a fresh meal would be nice. Like the evening before, the action was steady and I did catch a nice 17″ walleye and a small sauger to bring home. 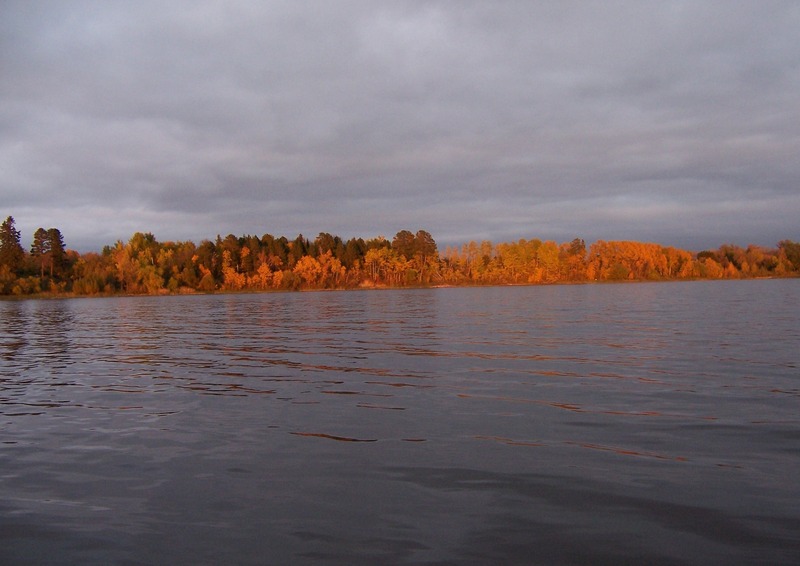 On Tuesday, after a trip to Bemidji to take care of some Senior Center business, I fished for a while before dark. I started out fishing the middle of the river in nineteen feet and caught several small walleyes and sauger; then moved near shore in about eleven feet of water. 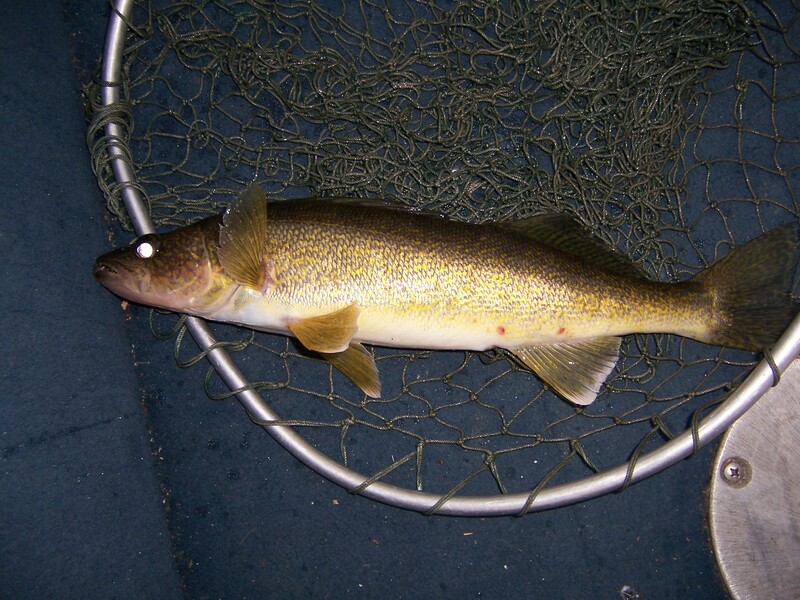 I caught and released two walleyes, 19″ and 21-1/2″, kept three nice eaters and a couple small perch. It appears that a few nicer fish have moved up river; fishing was good.